Jungle Red Writers: The Wonderful Reds! A couple of years ago, I had the pleasure of meeting Hank and Rosemary Harris at a conference . . . such lovely, gracious ladies --- it was the highlight of my weekend. Happy book birthday, Liz and Barbara! Congratulations Liz and Barb on your joint 5th book releases! 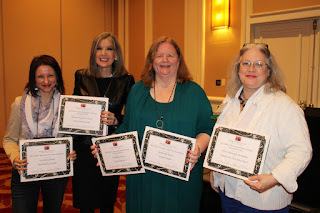 I have seen several of the Reds (Deborah, Julia, Rhys) at different mystery conventions, both Bouchercon and Left Coast Crime. But the first time I saw all the Reds together in one session was at the 2012 Bouchercon in Cleveland. They had a fun game panel playing Family Feud, I think. Everyone in the audience (including me) were laughing and having a good time! After that, I started following the Reds on JRW on a regular basis. And it was great to see and chat with both Hank, Barb (and the other Wickeds) at this year's Bouchercon in New Orleans. 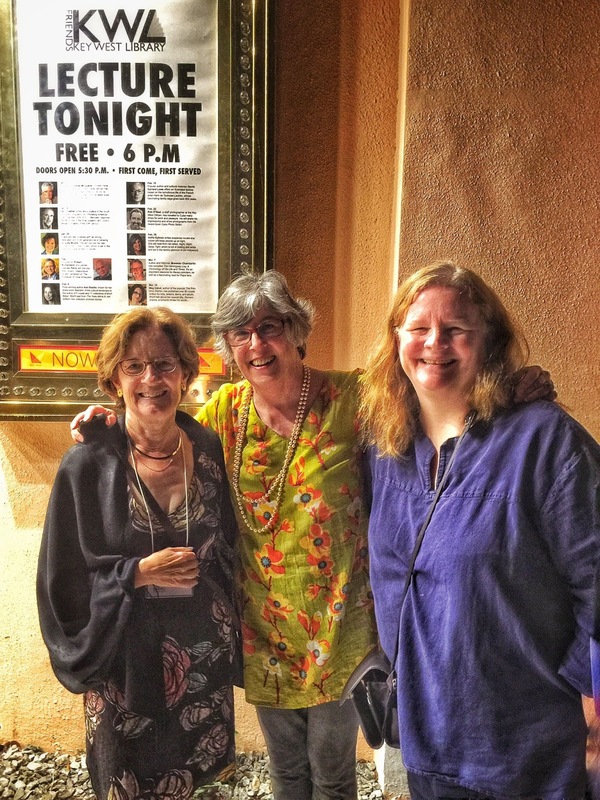 Bravo for my dear friends Liz and Barb! I echo everything about that Seascape experience, and I remember Hallie saying that to Liz. Both these talented authors have the talent to tell intriguing stories about richly drawn characters in beautiful language, but they also have the drive. I've seen it. 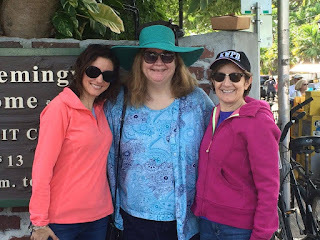 Another thing Liz and Barb didn't mention is that, when the six Wicked Cozy Authors were talking about starting our own blog, we all said we wanted to build the kind of community the Reds have created right here. We so admire the closeness of the bloggers as well as the devoted commenter community you have gathered. So thanks for serving as a role model in that area, ladies! Now, to wait for my local indy bookstore to open so I can hurry down, buy my preordered copies, and get areading. You're very kind, all of you...if we had anything at all to do with the rise of these women, we are delighted! And we love our Red community too--very thankful for all of you! Grace, I got to be part of that panel! It was so much fun, especially since there were so many back bloggers there, too. I've been lucky enough to meet all the Reds, starting with Hank at the Indianapolis Bouchercon. We already "knew"one another from TLC, and she suggested we have tea together when she found out I was going to be there for the day. That was my first of many conferences. The only Wickeds I haven't met are Barb and Jessie! Love the writing community, for so many reasons. The encouragement is remarkable. Well, I must say this is a lovely way to start the day! What a surprise… And what a joy… Thank you so much! You have both cut such a huge swath through Mystery world… Congratulations on your wild success! I know you both work so hard, and I do love you madly. Who'd have thought this would all happen? But Wait! Tell us more about your new books! Happy Book Birthdays Barb & Liz. Congratulations! This is the sweetest thing to wake up to! 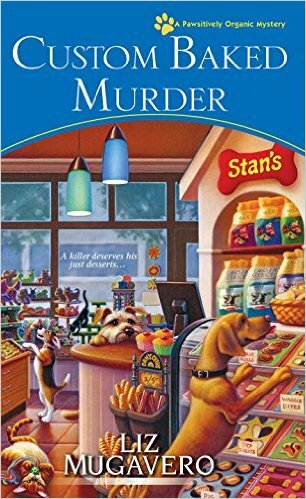 Thank you, Barb & Liz, and a big congratulations on ICED UNDER and CUSTOM BAKED MURDER. I remember getting to read both of your pre-published writings and feeling that thrill when you read what you know is GOOD. Really good. And then you both had the stamina to ride to the finish line. 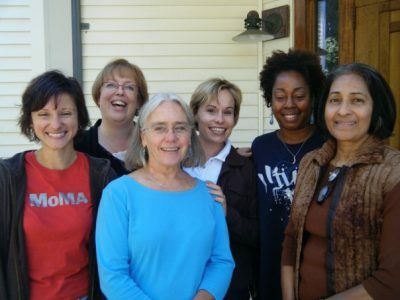 I wish I'd had the sense to join Sissters in Crime an meet other mystery writers while I was pre-published -- it would have made things a lot easier. Welcome Liz and Barb, and bonne chance on the new books. I'm always delighted when I have the opportunity to meet and read people I haven't discovered yet. Thank you Reds! I love the stories of how people met you in the real world. Mystery authors and readers are so lucky to be part of such a supportive community. As Lawrence Block says, "No one has to fail so I can succeed." The wonderful Reds talk the talk and walk the walk. The generosity and support of fellow mystery writers has been one of the unanticipated delights of joining the mystery writing community. The Lawrence Block quote is wonderful, Barb, and a reflection of my own experience. In terms of the Reds, I've only had the honor of meeting and working directly with Hank, and it's always a treat. That's why we're joining forces on Friday, January 13th at the Framingham Barnes & Noble; events are always more fun with Hank! Like many New Englanders, I first knew Hank from her investigative reporting work. When I found out that she was the moderator for a panel I was going to be a part of at Bouchercon Long Beach, I excitedly shared the news with my husband. He said, "'Help Me Hank'" is your moderator? That's so cool!" Indeed! Ingrid and Hank--have a wonderful event! I've met Hank many a time at conferences and book launches here in Pittsburgh (Mystery Lovers). Always so gracious. And always encouraging. I think she's more confident in me than I am sometimes. I was going to meet Deb at Mystery Lovers but I got called away to pick up my kid from a soccer game before we got to the signing. I met Rhys standing in line for the Rock and Roll Hall of Fame at the Cleveland Bouchercon. So wonderful. And I remember that panel - hysterical! I met Hallie briefly at a Bouchercon where she signed an ARC of THERE WAS AN OLD WOMAN. And of course I think "just hold your nose and write" every time I plunge into Draft Zero of a new story. I have been blessed to have met Julia Spencer Fleming and Barbara Ross in person as part of my church's (South Freeport Congregational) Author Luncheon series. We're coming up on year 5 and I continue to be amazed at the graciousness, good humor and generosity of this community of authors. And each has such an interesting story to tell about how they became published authors. Thank you all for keeping we readers entertained and on the edge of our seats. 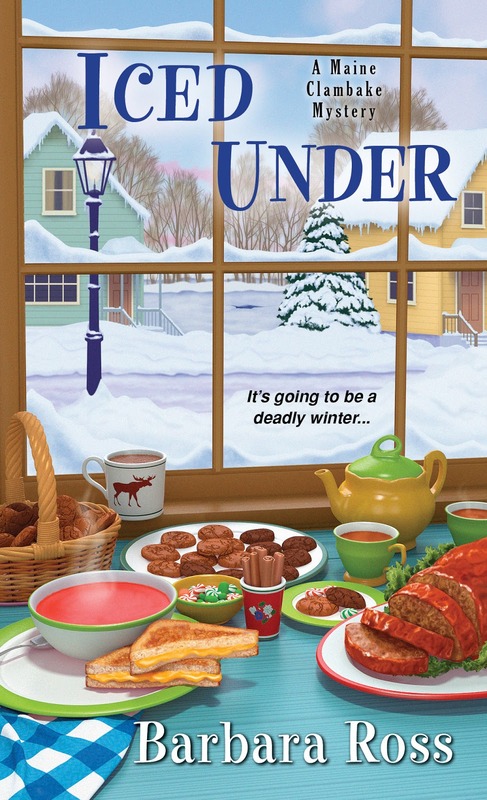 My copy of Iced Under has been delivered and I can't wait to start reading. Just finished Hank Phillippi Ryan's 4th Jane Ryland...am hooked and book 5 is waiting on my Kindle. "Just hold your nose and write," is one of Hallie's greatest gifts to writers. Congratulations to Barb and Liz! I'm up to date on Barb's books and about halfway through Liz's number three. And more to come from each of you! I've met Hank in person twice and Lucy/Roberta three times. Each of them is gracious and welcoming to readers. Each meeting, including the first, was like a reunion with long-list relatives..so special. Make that long LOST relatives! I've at least met all of the Reds or seen them in action at various conferences and agree it is wonderful to be connected--even in some cases only virtually--with such an accomplished group. Everything about this blog, including the active comment back blog, is a wonderful example of how crime writers build community. Thanks to all of you for the day-in, day-out engagement, and happy new year! And happy launch day to Barb and Liz! Two more to get my hands on ASAP. Congratulations to both of you! I first met Debs when I was writing for the Fort Worth Star-Telegram, and she had just sold her first book. I did some kind of "local author writes about England" feature that might have been her first press interview. 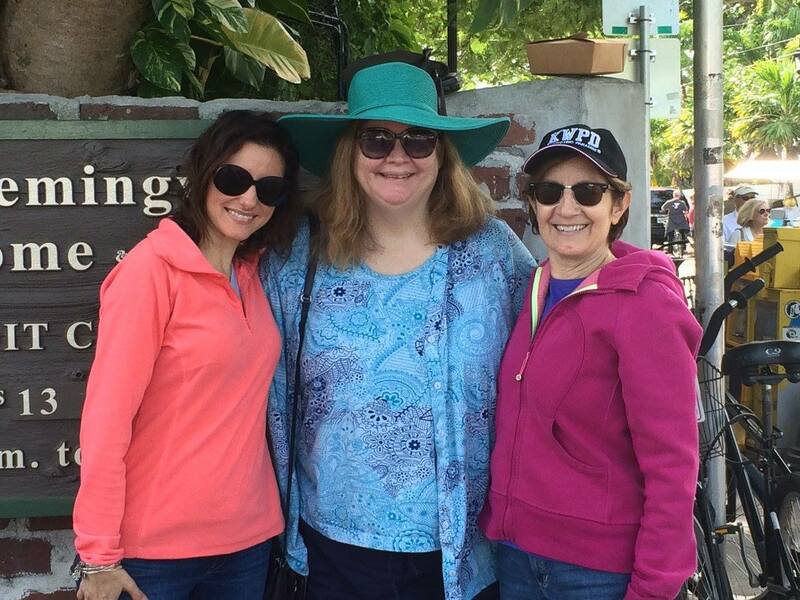 What I remember most was that we had a lovely day chatting about all kinds of things--writing and non-writing related. Since then I've been in a critique group with her and still send her the early drafts of my stories, which she is kind enough to enjoy. I have many stories about her, but she's paying me not to tell them. ARghhhhh! I had a lengthy piece written out and just lost it. Oh, well. I will hit the main points. First, congratulations to Barb and Liz on your fifth book birthday. I'm sure it must still be exciting each time you put a new book out there. I am adding to my wish list now. The Reds! I know that I can never adequately describe how much you each mean to me. I love your books, and I treasure your friendship. When I attended my first Bouchercon in Albany in 2013, it was a dream come true. In preparation for it, I read one group of authors especially, the Reds. I read all of Julia's and Debs' books and started on everyone else's. 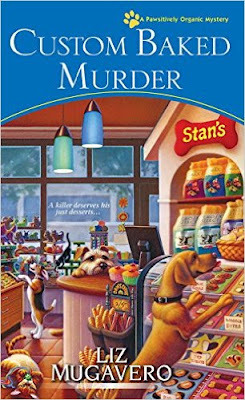 I can't remember how I discovered that the Reds authors were a great place to start my reading for Bouchercon, but I know that I hit the jackpot. The quiz panel that the Reds had at Albany was the one that I was most looking forward to, and, boy, it didn't disappoint. Actually, I was able to meet the Reds before the panel, which made it even more exciting. From the beginning, you Reds were the epitome of graciousness. And, the ever-enthusiastic Ross and youngest were there, too, handing out the books as prizes. I was able to snag one of those, a Julia book. That panel is also where Kristopher Zgorski and I met, fellow bloggers, and Kristopher not yet the level of fame he is now. So, that panel at that Bouchercon will forever be one of the most exciting moments of my reading experiences. And, then there was Raleigh Bouchercon in 2015, where Rhys and her fantastic husband John joined a dinner I threw together. I still have a crush on John. He entertained one end of the table and had everyone charmed. I have special moments of being with each Red and treasure them all. Hank, Debs, and Rhys are the Reds I've been fortunate to spend the most time with so far. One of the pictures I took of Hank at the Raleigh Bouchercon consistently comes up as the most liked picture of mine on Bouchercon. Hank always takes time to make me and others feel special. Debs, as well as being amazing and always up for a friendly chat, has been a conduit to Carolyn Todd and Karin Savalaggio for me, too. Lucy, with her Key West connection is a soul after my own heart, and I am still wanting to catch her sometime in Key West for a meet-up. Hallie and Julia, I'm so happy that I got to meet you both in Albany, and I'm needing to have some more time with you two, too. Julia's series led my friend and I to take a quick detour to the Adirondacks after the Albany Bouchercon on our way to Niagara Falls. And, although Susan is technically leaving the Reds, my interactions and connections to her have and continue to be a treat, too. Mega congrats to two of my favorite writers! It's very easy to feel that you know someone you never meet otherwise than on blogs, books, or TV. Steve and I used to hurry home after classes were out to watch Hank's investigative reports. She was "on our side"! 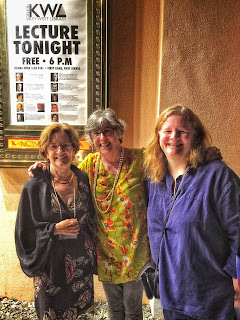 Meeting Debs and Rhys and others at book festivals and presentations can make you feel connected. You and they invest time into making that happen. It's a different type of friendship, yet it has a special connectedness. Congratulations to Barb and Liz! Thank you, Reine and Kait! Reine said it! From a reader's standpoint you touch me not only through your books but through your gracious to other authors and to your readers. Loved Custom Baked Murder and look forward to Iced Under! Cheryl! Thank you so much! Aw. I am thrilled. DebRo, love you, too. And Kathy, what a great post--so frustrating when they disappear. But I loved your high points--and we all love Rhys's John! Congratulations Barb and Liz on your book release. I've met all the Red at either Malice and Bouchercon. I do remember participating in one of the Jungle Red panel, I think I was the time keeper. All the Red are generous in helping other writers and listening to readers. The first Red I met was Rhys Bowen a long time ago! She was on a panel with Penny Warner and one or two other mystery novelists (wish I could remember who!) at Black Oak Books in the late 1990s. I an reading Twelve Clues of Christmas this week. I think this is the 4th time I have read this book again. I saw Barb and Liz at Malice 2016. I met Hank at Malice when she signed the anthology of short stories. Look forward to meeting Hallie, Deb Crombie and Lucy Burdette.